Managing and delivering content for augmented reality (AR) native apps can be tough. You might need help and a little bit of inspiration before developing one. 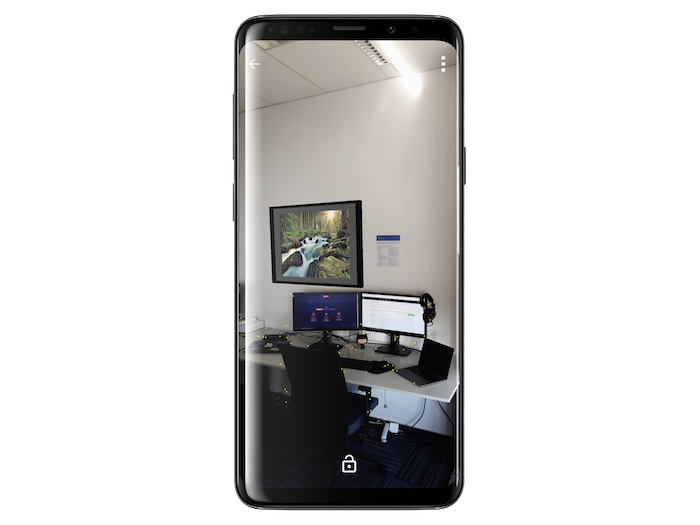 Read this blog to discover AR sample apps for Android and iOS, and explore usable concepts and problem solutions! Kentico loves supporting young talented tech enthusiasts, and more often that not, this cooperation bears fruit. This is exactly what happened with Martin Sumera's diploma thesis when he focused on mixed reality and delivering omnichannel content for native iOS and Android apps. As we love open source projects, we wanted to share the full source code of both apps! The apps showcase mixed reality, which basically merges real and virtual worlds. In this example, the virtual world is represented by image assets fetched via Delivery API from Kentico Cloud, and the real world is captured via a mobile phone camera. Both of these worlds are mixed, so you can admire world-class pieces of art right in your living room. The iOS app is fully written in Swift using Apple's ARkit development platform. In addition, it utilizes Kentico Cloud's Swift SDK in cooperation with RxSwift, which is an implementation of the ReactiveX standard for Swift language. The augmented reality app for Android is written in Kotlin. It's built on top of ARCore's SDKs, which provide native APIs for all of the AR features. This app uses a reactive approach as well. For this purpose it utilizes RXJava. If you want to try our apps, but don't want to get stuck in with IDEs and source code, you can meet us at the Update Conference. We'll be at the Kentico booth with fully charged devices! Clarion Congress Hotel Prague in Prague 9, near Vysočanská metro station (line B).